Washable incontinence pants– reuse and save money! Totally innovative, the Kylie Male washable incontinence pants make you feel and look as if you are wearing your normal Y-fronts, no longer restricting you to the confinements of standard adult diapers. If you are looking for light urinary incontinence protection which is comfortable to wear, washable, reusable and undetectable when being worn or laundered, then Kylie Male Absorbent Briefs are definitely for you! Light incontinence shouldn’t stop you from doing anything in life anymore. With male incontinence products simply not being of a high enough standard due to the uncomfortable pads or unsightly adult nappies they don’t do much for your self-confidence. With Kylie, you no longer have to compromise, you can maintain your dignity and confidence without having to sacrifice comfort and style. 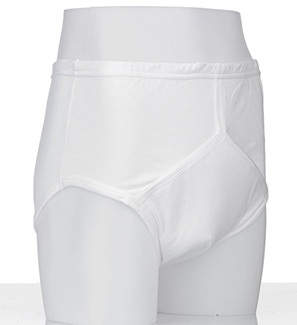 These incontinence Y-fronts are suitable for men with light leakage, stress incontinence or overflow incontinence. The pants are made in a classic Y-front design, meaning you will look and feel great, and you definitely won’t feel as though you are wearing incontinence pants. 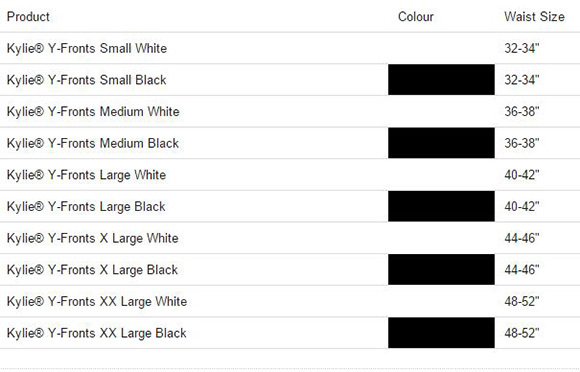 The incontinence underwear are available in black as well as white, you can enjoy wearing them with your usual clothes without the worry of feeling like your wearing incontinence pants.